Like Takoma, Kicking Mule was co-founded by ED Denson, this time with guitarist/educator Stefan Grossman in the early 70s. 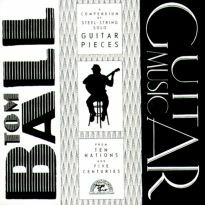 To some extent it expanded the Takoma steel-string guitar tradition into whole new areas, drawing on Scott Joplin rags, Beatle hits, big band tunes, and Turlock O'Carolin harp compositions. 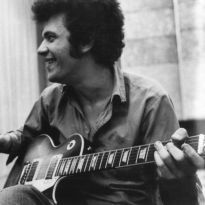 Stefan Grossman spent a lot of the late 60s and early 70s in the UK, and so it is no surprise that two of Britain's most inventive guitarists, Davey Graham and Bert Jansch have records on the label, alongside a duets outing with John Renbourn and Stefan Grossman. 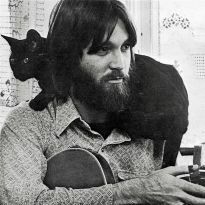 The label's pioneering spirit includes Duck Baker, another American in London, who made extraordinary solo guitar recordings of Irish and Scottish music. Americans in America are represented by Dale Miller, whose Finger Picking Rags are at times startlingly in contrast to the Other Delights. Also the National Steel player Bob Brozman, whose latter-day collaborations have been very successful in the early 2000s, has an early outing on the label, mixing Hawaiian, delta blues and classic jazz with an ease that defies the cross-genre challenge. Because of the diversity of the music, the instructional aspect, and the consistently strong critical acceptance of their records, the influence of Kicking Mule on the finger-style guitar, banjo, and dulcimer communities has been enormous.